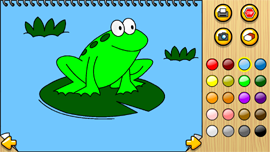 Leah's Farm Paint and Play gives your child free reign to color 23 farm pictures. Each farm animal/object such as cow, donkey, horse is read aloud. Your child also will hear the name of each color whenever it's chosen. 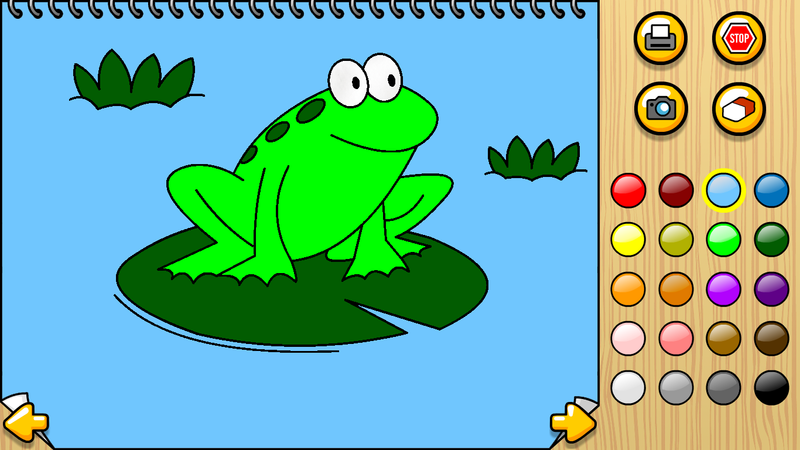 Coloring pages are saved to My Pictures, creating a gallery of your child's masterpieces. 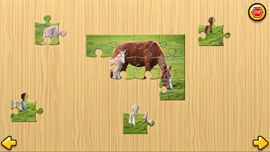 There are also 10 farm jigsaw puzzles to solve. There are 6 piece and 12 piece puzzles. 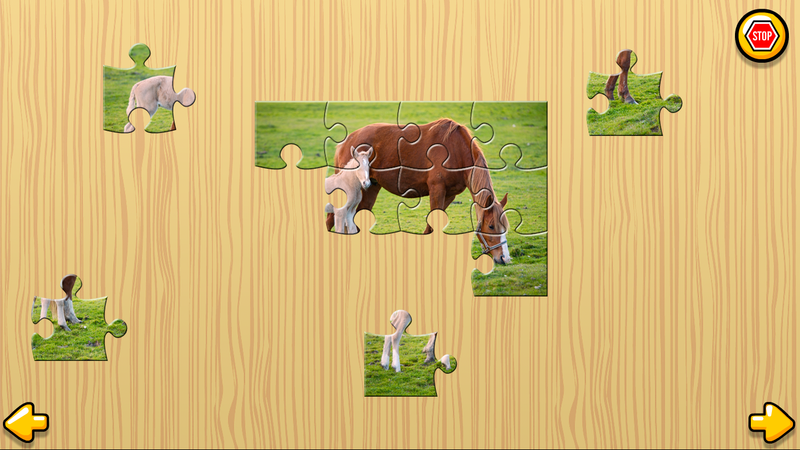 When a puzzle is complete the farm animal/object is read aloud, and your child will hear the noise it makes too!